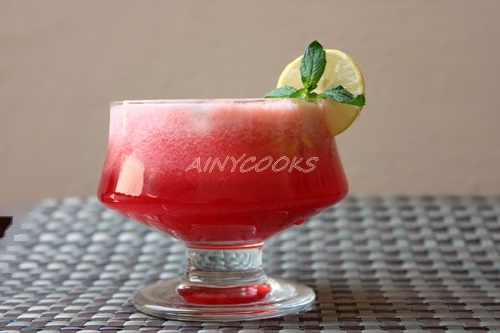 Plums are in season these days and its better to make fresh juices at home instead of taking tetra pack juices. I alway prefer giving my family home made fresh juices. Plums are very beneficial for our health, It is rich in Vitamin C, K AND A. You can eat plums in solid form as well but in juice form your body can absorb more quickly as compare to solid form. 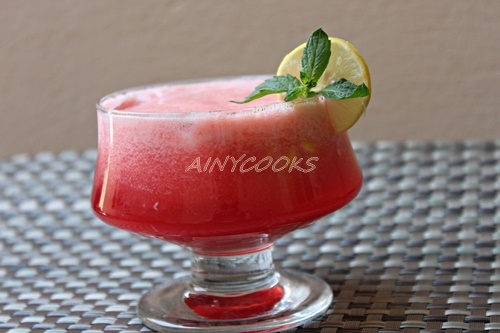 Here is the recipe of fresh juice which is very easy and delicious. 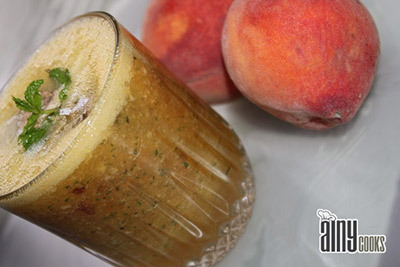 Add plums (pitted) sugar, Orange juice in blender and blend well. 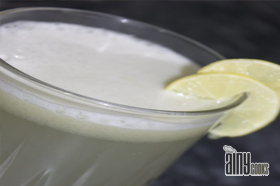 In a glass add lemon slices and crushed ice. 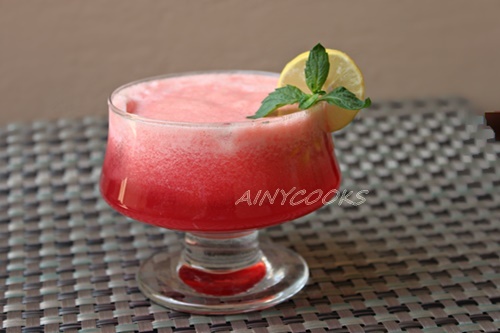 Pour juice over ice and serve immediately.